Adam Barczewski skies to reach Vince O’Shea’s throw, both from Lebanon. 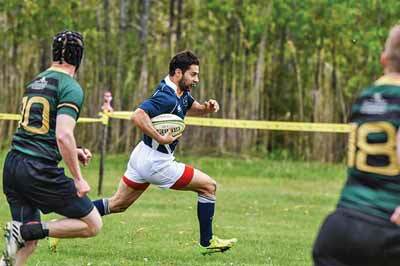 The Upper Valley Rugby Football Club got its start in 2016 when Grant Gordon, once a local high school player, moved back to the area and wanted to play again, according to Brian Frampton, the men’s club president. 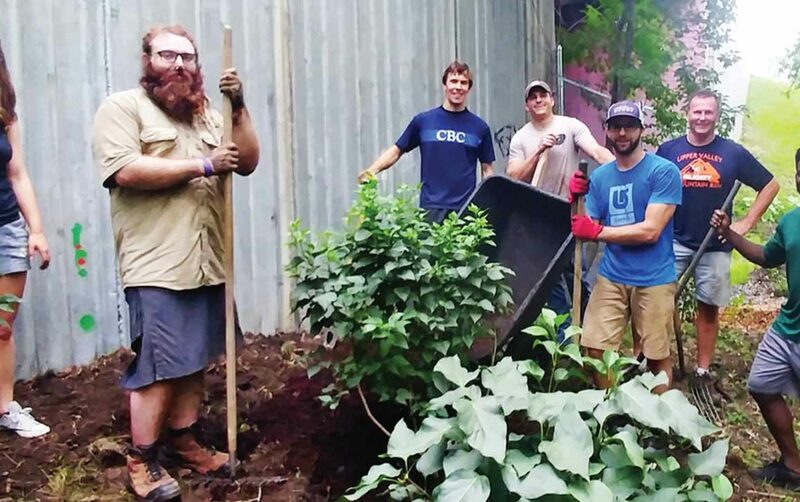 “It was eight guys behind the CCBA in January of 2016 in icy conditions,” recalls Frampton. The club connected with the nationally ranked Dartmouth men’s and women’s programs, sharing some practice time and a bit of coaching expertise to get the ball rolling. 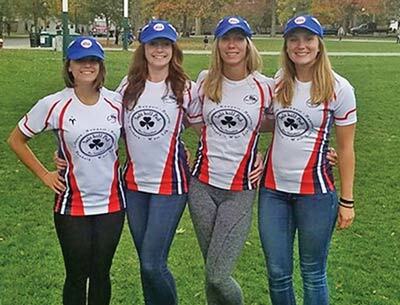 Kim Maiorca, the women’s club treasurer, says this type of camaraderie is why she likes the rugby program and living in the Upper Valley. “Everyone is very nice and accepting, and they want to get to know more about you. When I moved here from California, I didn’t know very many people,” said Kim. The formalized version of the sport began in the UK in the early 1800s when an upstart football (soccer) player decided to pick up the ball and run with it across the goal line. New rules for a new game were made up by the players, and rugby was born. 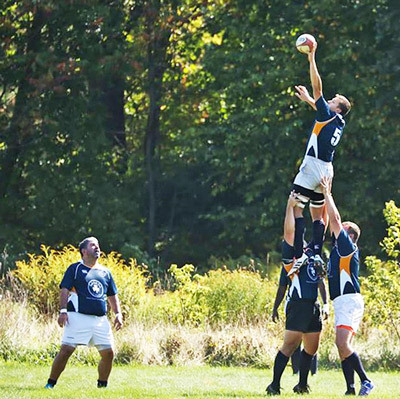 Worldwide, rugby is recognized as one of the fastest growing sports, particularly at the youth level, but modern rugby in the United States is relatively young. The first rugby game took place in 1874 with a college match between Harvard and McGill. The sport flourished as a less violent alternative to American football until the 1920s when participation declined. In the mid-60s it was revived largely by college teams and today USA Rugby boasts nearly 100,000 players from middle schoolers to Olympians. 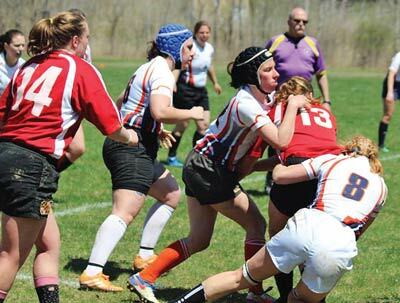 The club hopes to develop high school aged teams for both men and women with the Lebanon Recreation & Parks Department in the future, joining area teams already established at Kearsarge High School and Kimball Union Academy. With excellent adult role models, a youth team has a strong chance of thriving. 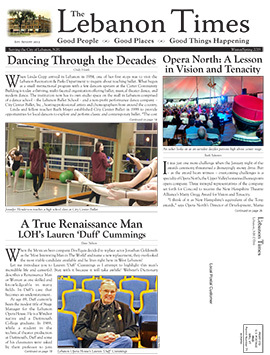 In fact, the Mountain Men won the New England Rugby Championship last season. “We’ve already been promoted from Division 4 to Division 3 in the New England Rugby Football Union league. No other teams have been promoted this quickly,” says Vince. As to continuing the club’s forward momentum, Vince notes, “We want to sustain the program for a long time. Brian and I want to come in here in our walkers for our 50th anniversary celebration.” Given the strong community service commitment and deep social connections in the Upper Valley Rugby Football Club, this is probably likely. The first home game for both the men and women is on 9/22 at the Bank Street field. For more information, find the club on facebook or at http://www.uppervalleyrugby.com.